Double the Sun shows off big, semi-double, bright yellow flowers when planted in the full sun. This is a great coreopsis option if you want a controlled habit yet strong blooming power to brighten up your garden space. 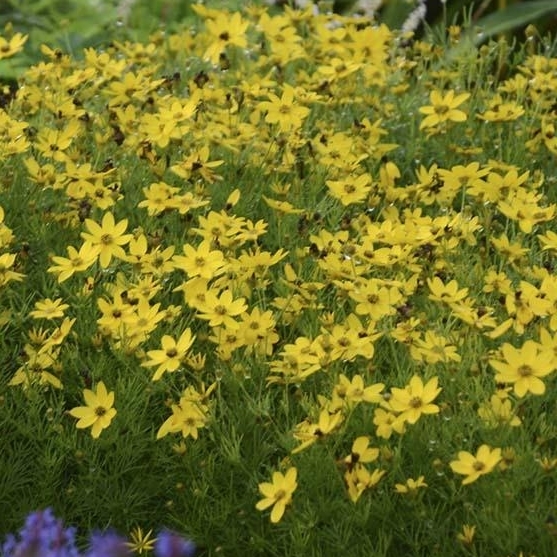 Zagreb Coreopsis is an upright, bushy plant that blooms deep golden yellow flowers. It gives a more airy look and feel compared to the Double the Sun Coreopsis but is just as full with a lot more blooms!